Brace yourselves, Moms… Summer is coming! We’re looking forward to all the summer fun and excitedly planning our vacation over here. The problem is that we are on a serious budget this year and want to make sure that we make the most of what we have to spend. How can a family of five take a vacation without blowing the budget? It’s easy- just plan a cheap summer vacation. 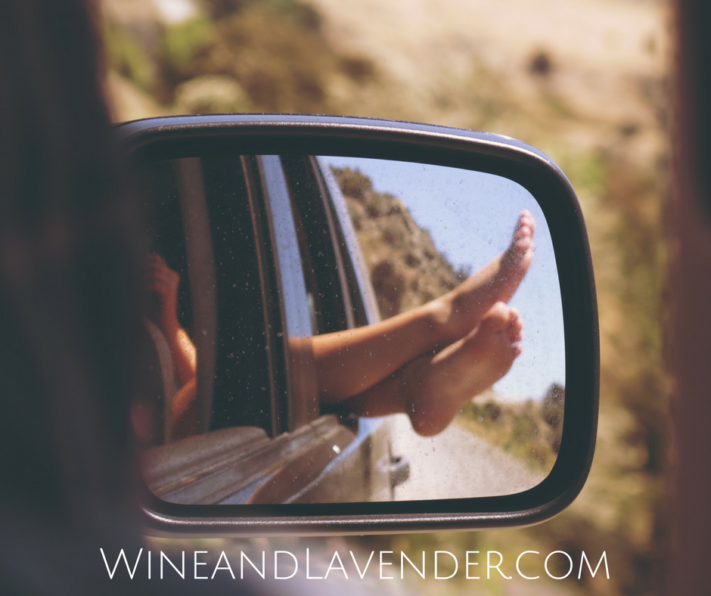 This post contains affiliate links, which means that when you sign up for a service or make a purchase through these links, you are supporting Wine and Lavender- at no cost to you- and I appreciate that so very much! All my opinions are my own. Being resourceful is something you have to do when you have a small budget. Luckily, it’s pretty easy to find good deals and discounts on the internet, so it is possible to plan a great vacation on a small budget! 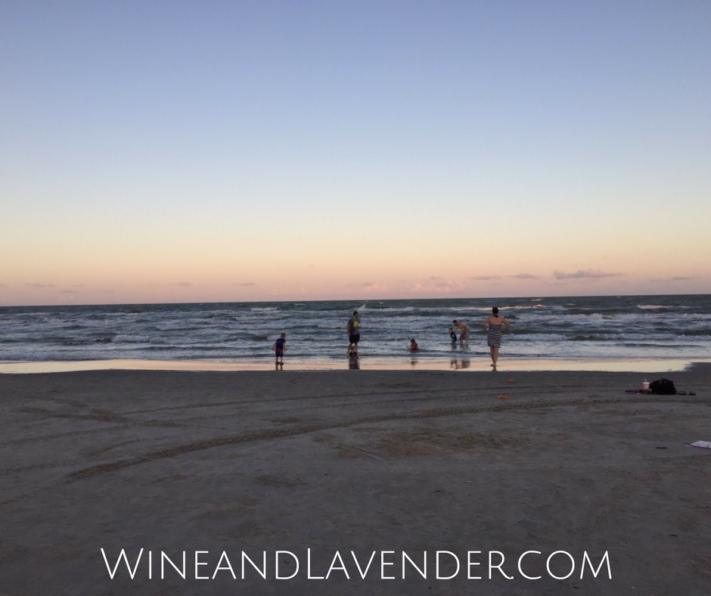 If you’re not sure where to start, I’ve put together some tips on how to plan a cheap family vacation so you can get to the beach without breaking the bank. First, you need to figure out what you want to do, where you want to go, and most importantly, how far you are willing to travel. Time and money come into play here because you need to consider the travel expense versus how much time you have. How? Well before you check out Expedia, Kayak, or Travelocity, check out your credit card statement. Do you have a point-rewards earning credit card? Can you use those points to buy airfare or lodging? Look into what your rewards point options are first because you may be surprised just how much vacation you can buy with them. No Credit Card Rewards Points? Check out Groupon or Ebates for deals on places to go, stay, or play. You can work these right into your itinerary and save yourself money! They also have deals on airfare and lodging that are worth a look. Money-Saving Tip: If you don’t have a rewards points earning credit card, I encourage you to explore your options- they come in handy!! Depending on where you are going and how much time you have, road tripping will likely be your cheapest option. Does that sound fun? We’re in the process of planning a road trip and quite honestly, I’m already a little nervous, BUT driving to our destination is going to save us THOUSANDS. Plan your route ahead of time so that you know how much it will cost, where you can stop, and what you can see or do on the way. This will make the trip more enjoyable. Again, planning is key. I’m using Roadtrippers.com because they have all of this information on one screen. I’m able to plan my route, stops, sights, AND calculate fuel costs. Another thing that’s great about taking your own vehicle is that you don’t have the expense of getting a car rental and you don’t have to worry about lugging around car seats or your stroller through the airport. But you will need to make sure that your car is ready for a long trip (take that expense into consideration). Get your car serviced BEFORE you leave to rule out any potential disasters that could end up costing you hundreds to remedy. Something as simple as making sure your tires are all properly inflated can actually save you money on gas, too. Bring your own food from home because eating out is costly and unhealthy. There are plenty of yummy (and healthy) snacks that you can pack for your road trip. Also, having food on hand keeps stops to a minimum so you can make it to your destination quicker. Money-Saving Tip: If you can, booking a hotel with a kitchen will help to keep food costs down. Here’s what we bring for easy meals... because you shouldn’t have to slave at a stove on vacation. Consider leaving at night or around bedtime to save yourself the, “Are we there yet?” annoyances. For daytime driving, make sure you have plenty of things to keep the kids busy for an extended amount of time in the car. You can find free places to stop/visit on your way to get the kids out of the car, moving, and exhausting energy. See a community park? Make a stop for lunch (it keeps the crumbs out of the car, too!). Pack travel games and/or Pinterest ways to keep the kids busy on the trip. Tablets always help, too- just be sure to limit screen time. If you don’t have an entertainment system in the car, consider bringing a portable DVD player with DVDs. Money-Saving Tip: Renting some new/different titles from your local library is a great way to keep the kids busy with new shows without spending the money on DVDs. Just be sure to renew online so you don’t rack up late fees while on your trip. If you know that you will need to stay somewhere on your route or at your final destination, find ways to save on lodging. Consider using your credit card rewards points, or if you don’t have that, many hotels offer member rewards programs if you sign up and stay with their participating line of hotels. Ebates offers cash back on purchases, and guess what? Hotels and airfare are on there, too! Save yourself money by opting to stay with family or friends on the route, or plan a vacation around visiting loved ones who live far away. You can visit multiple family members or friends on your route, and the best part is your stay is FREE. If your desired destination is a place where none of your family/friends live, consider inviting them along and staying together to share the lodging expense. It’s always nice to vacation with friends and family members, and they’ll appreciate sharing the expense, too. Did you know that you can buy discounted restaurant gift cards on Ebates? Well, you can! The best ones to buy are the gift cards that are good at a number of different restaurants so that you have options. (Who doesn’t like options?) There are also a lot of restaurants who offer free meals to kids during certain hours… see what’s on your route/at your destination and plan around that. Once you’ve made it to your final destination, you’ll want to keep costs down and there are so many ways to do this! Find free beaches, parks, and places to visit at your destination. You can do so by visiting the city’s website. 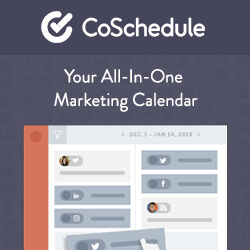 Check out their community calendar to see what kind of events are taking place while you’re there. Many cities/towns offer free movies or cultural events during the summer that you’ll want to take advantage of. Be sure to also check out their Parks and Recreation department and browse the local newspaper online for more information on events and places to visit while you are there. Don’t be afraid to spy a little and check out their various online Facebook Groups to find out what’s free or going on in the community, too. Again, Groupon comes in very handy here with their deeply discounted offers. You need to check here first before you buy. 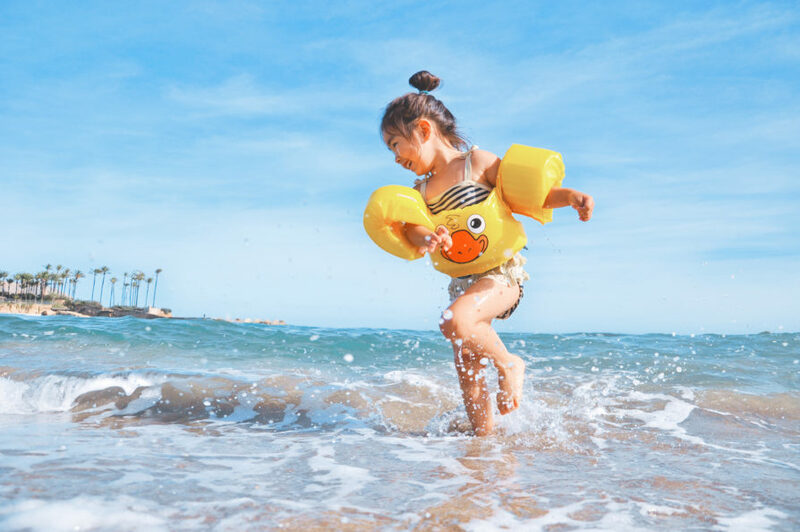 There’s always the option of going to an all-inclusive resort and although they may be a good deal, even the best deals aren’t possible when you’re a family of five and on a budget. Airfare to many of these destinations alone will cost you thousands, and if you’re not in the position to pay for that right now, the tips above can help you to have a vacation- even on a small budget. If you’d still prefer an all-inclusive resort, consider inviting family and/friends. Group discounts can save you thousands versus vacationing as a family of five. 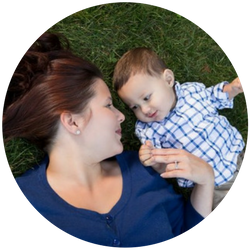 Are you ready to plan a family reunion? Your family vacation shouldn’t leave you with mounds of debt. If planned properly, you can take a good family vacation on a small budget and still have fun! 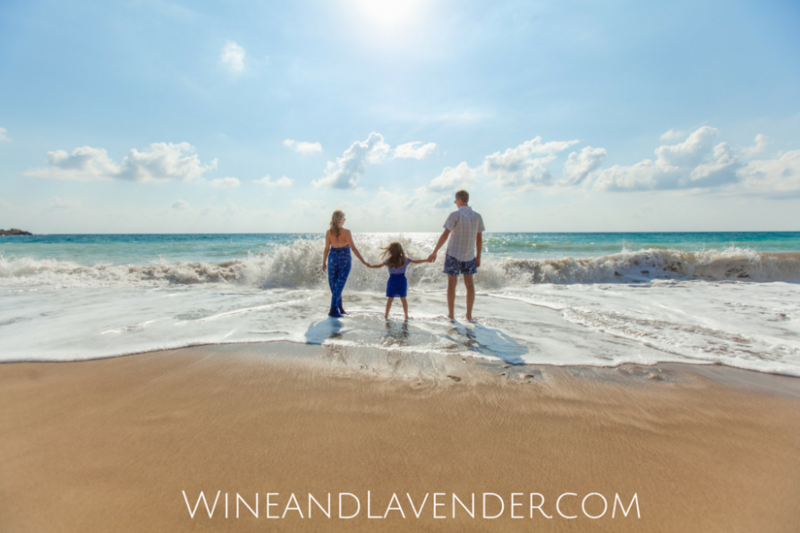 Check out some of the tips and tricks we use to make our beach family vacations, affordable and less stressful. For more money saving tips, check out 10 Ways to Save Money Now and How to Save Money on Kids Clothes. Do you have any tips or tricks on taking a budget-friendly family vacation? I’d love to hear them in the comments!